The Kentucky Oak: What is it, When Does it Start, and What Are the Odds? Everyone knows that the upcoming Kentucky Derby is a must watch event but fewer know of the Kentucky Oaks. Coming the day before the Kentucky Derby, the Kentucky Oaks is just as exciting as its more well know cousin. The Kentucky Oaks is a horse race for Thoroughbred fillies, female horses, that is held annually on the Friday before the Kentucky Derby. The Oaks is actually one of the most highly attended horse racing events despite being lesser known. It attracts around 100,000 people, placing it in third for attendance behind the Preakness Stakes and the Kentucky Derby. 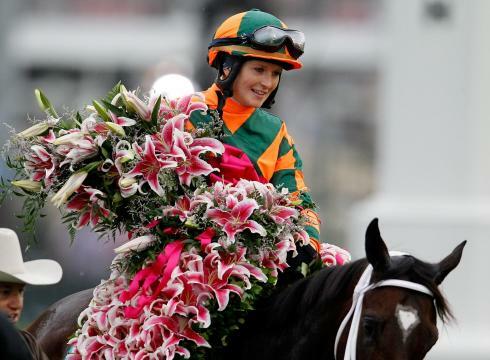 Among the most notable traditions of the race is that the winner gets an enormous garland of lilies in addition to a $600,000 prize and the Kentucky Oaks Trophy. The race itself is starts at 5:45. It can be seen on NBC Sports Network on TV or streamed. For those you who want to get last minute bets in, here are the final odds before the race. Even if you do not bet it still will be an exciting race!